This camp was a blast! We used card board, tin foil, old Christmas lights, brass brads and batteries to make circuits. This was a lot of fun! We started with just one light but then added on and on! 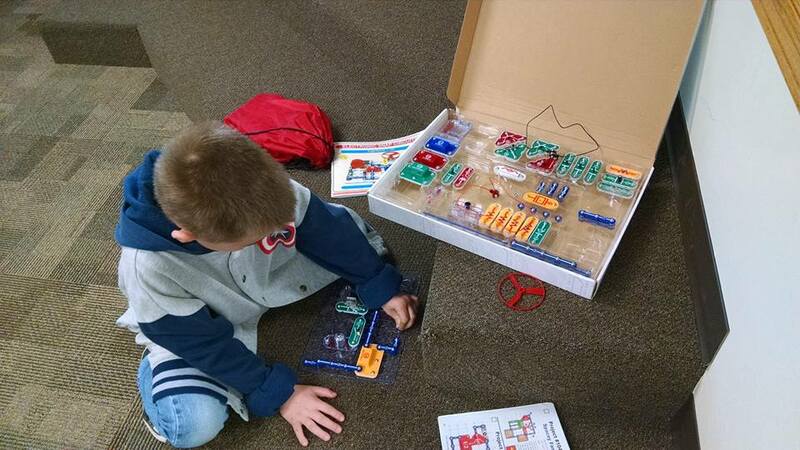 The Snap Circuit kit was also a lot of fun! 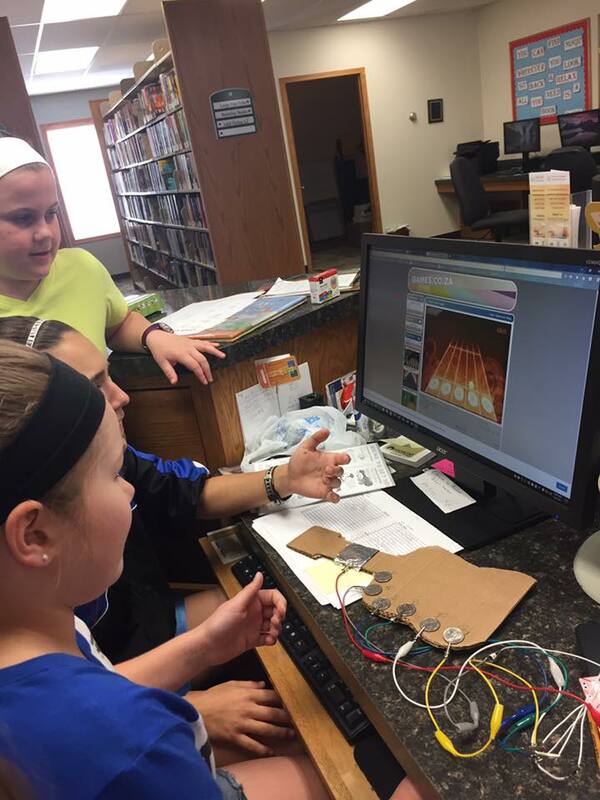 The older girls learned to use the Makey Makey – Inventions Kit and the Squishy Circut Kit! Then they showed us what they learned. It was pretty cool to see how the guitar worked! These kits will be available for check out at the library soon! We applied for and received a grant for STEM tubs that will contain all kinds of kits and STEM materials. Circuits will be just one of the theme tubs that will be available! 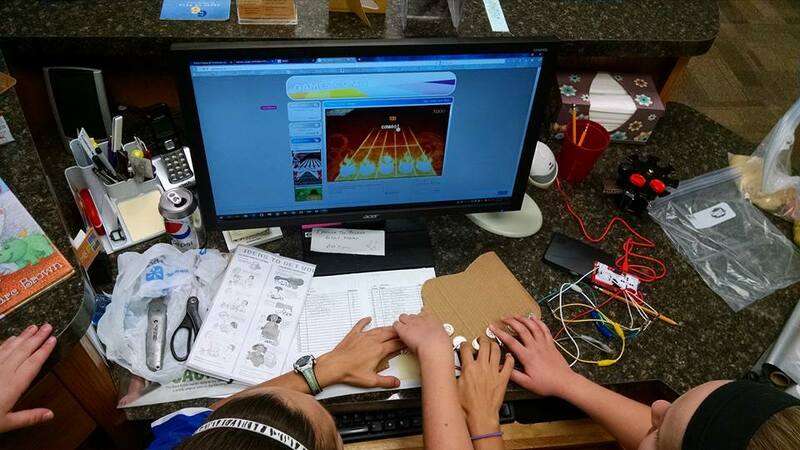 We received the 3D printer from a grant last fall – anyone can come in and use it for FREE!